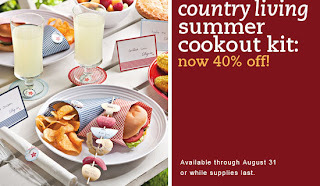 Stampinup just announced 40% off their Country Living Summer Cook-Out Kits! This is only while supplies last - click on the photo to see everything included in this fun BBQ invite set. Then order anytime at my online store. Click the Online Order 24/7 button on the right to visit.